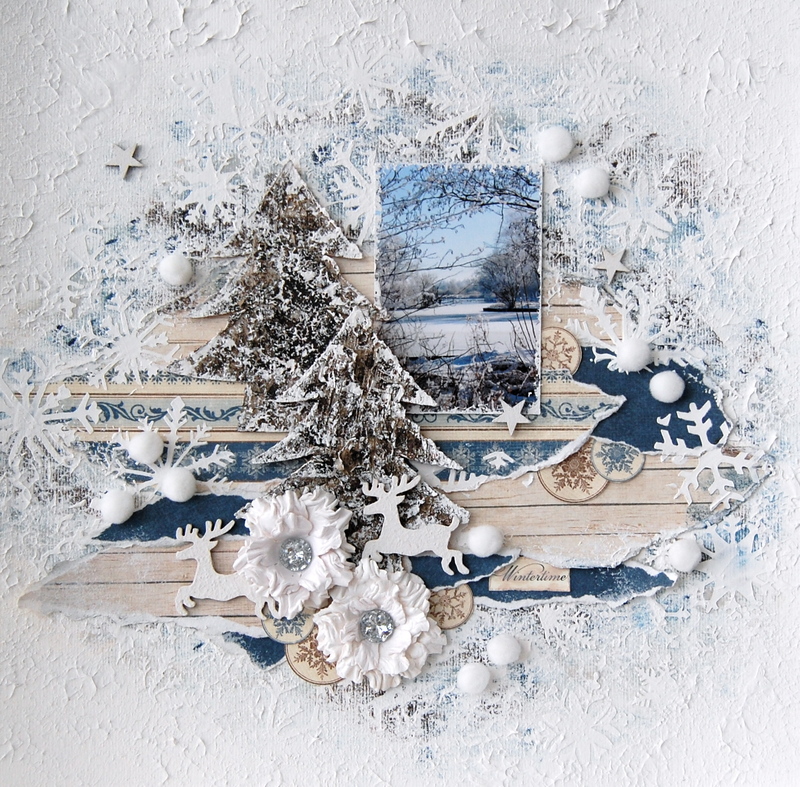 Made this winter layout with the new Wintertime in Swedish Lapland collection. Thought the blue colors of this collection would match the photo perfectly! Painted the background and used a template for the snowflakes. I was sooo excited to see your new creation Ingrid! it compliments that beautiful photo completely! WOW !! WOW !! WOW ! !